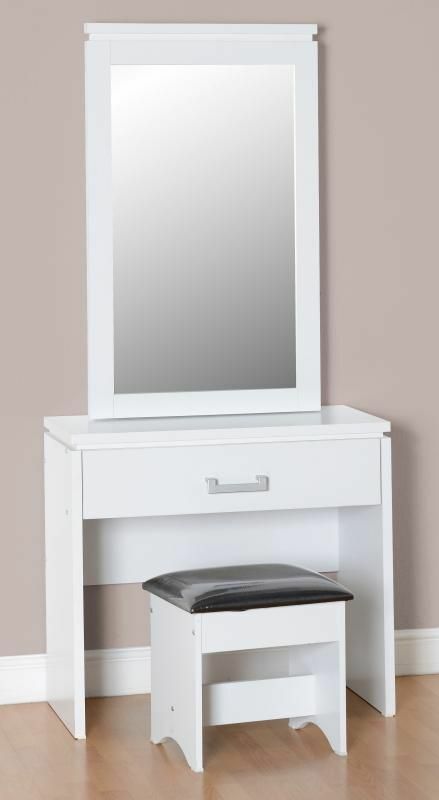 Charles 1 Drawer Dressing Table Set in White, Features hidden storage behind the mirror – Matching Stool included (Black Faux Leather Seat) The Best Selling Charles Range is available in Oak effect veneer with walnut trim or White, Comprising of a large selection of bedroom furniture suitable for any décor. 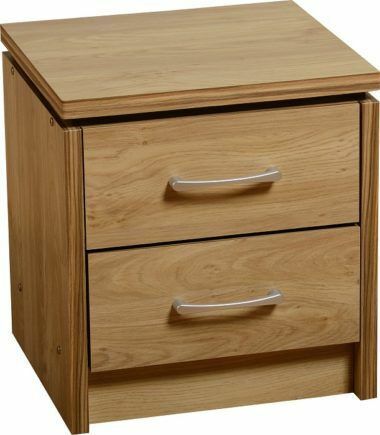 Different size options create a solution for any space This item comes flat packed but we offer an optional assembly service for a small charge, Simply click “Yes” on “Assembly” if you wish to avail of this service. Price varies per item.